I have such a huge dilemma facing me. I know you guys have faced this very same thing. I have 6 brand new polish that I just got and I cannot decide which ones to wear first! They are all so pretty! How do you decide what to wear? My process is to think about what colors I've posted the past two times and rule those out. Then I stare at all my polish and see what inspiration hits me. I don't plan an entire mani like I know some out there do. Mine is more based on what mood I'm in and if I have any new colors to try. I've actually ordered some glequins since I've seen so many cool designs using those that I thought I could give that a whirl. I don't have them yet, so be patient people. A quick update on the dating stories. Busy guy is still too busy. Seems I'm always reaching out first and I'm done with chasing a dude that just can't be bothered. I did meet a guy last weekend for coffee who did not look a thing like his picture. He was nice enough, but the chemistry just wasn't there. I did just reach out to a very cute guy and to my utter shock, he wants to talk to me! Now I know I am no supermodel by any stretch and to have a guy this handsome want to talk to me is a little daunting. Have you ever felt that way? Like you want to be on your best behavior just so you can keep looking at him? HEHE. I know nothing about him, just messaged back and forth a few times yesterday. We shall see what happens. Hopefully talking about him on here doesn't jinx it. Now on to the silly bottle shot. 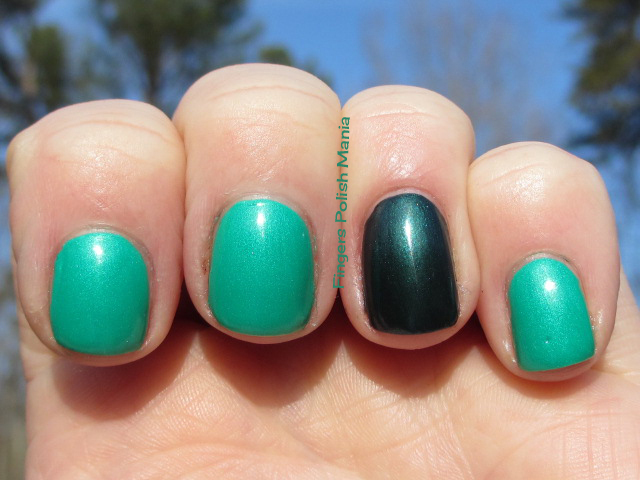 This is Chick Polish in Gavie Green, Illamasqua Viridian and Lilacquer Selkie. My camera is freaking out over Gavie and showing it way too light a green. It's a much more darker teal. I started with Gavie and an accent of Viridian. I thought the shimmer in Viridian matched Gavie pretty well. Here are the starting shots. Don't these look great together? Next I stamped using the opposite color and Gals plate GA29. Here is that step. Oh so pretty! I wish you could see Gavie in it's correct color! I next added a layer of Selkie and my funky. Here are the results. 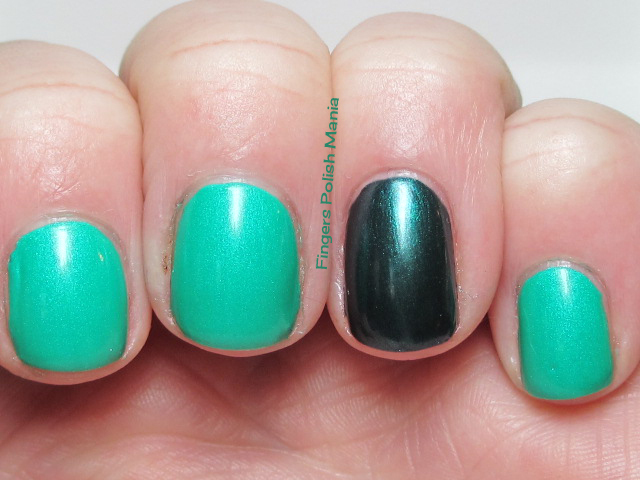 As you can see, Selkie obliterated the design on the accent nail, but you know how much I love that shimmerfest! How do you decide what polish to use next?